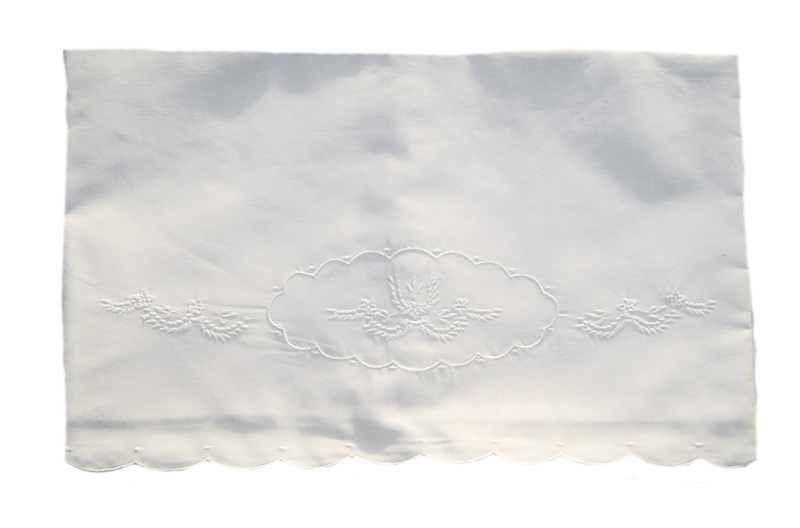 This lovely little white baby blanket is made by Feltman Brothers, a top designer of quality baby garments. 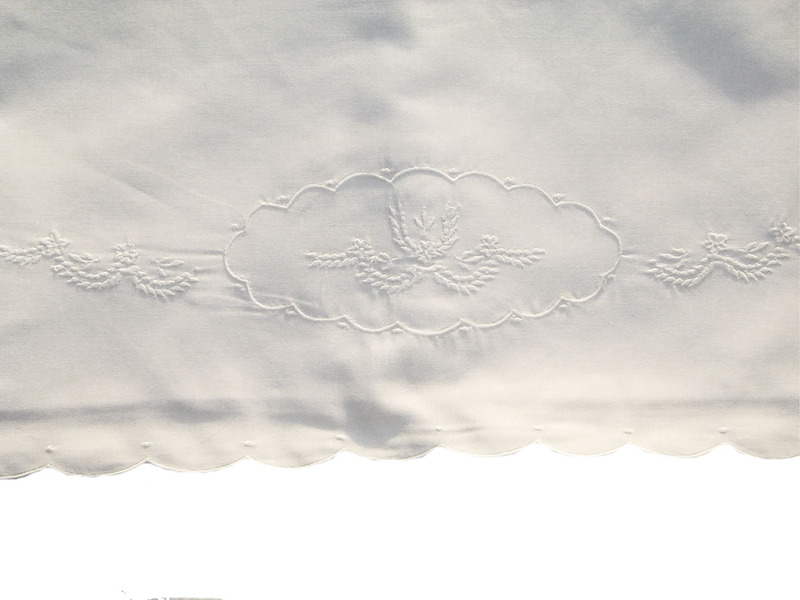 Made of a double thickness of cotton blend batiste, it features a beautiful white embroidered design with an embroidered scalloped edge. The ideal take home blanket for bringing your new baby boy or girl home from the hospital year around. Perfect too as a lovely christening blanket or any dress-up blanket. Makes a thoughtful newborn or baby shower gift! Note: This sweet blanket is also available in white with lace edging or blue with scalloped embroidered edge. (Will also be available soon in pink.) See below.